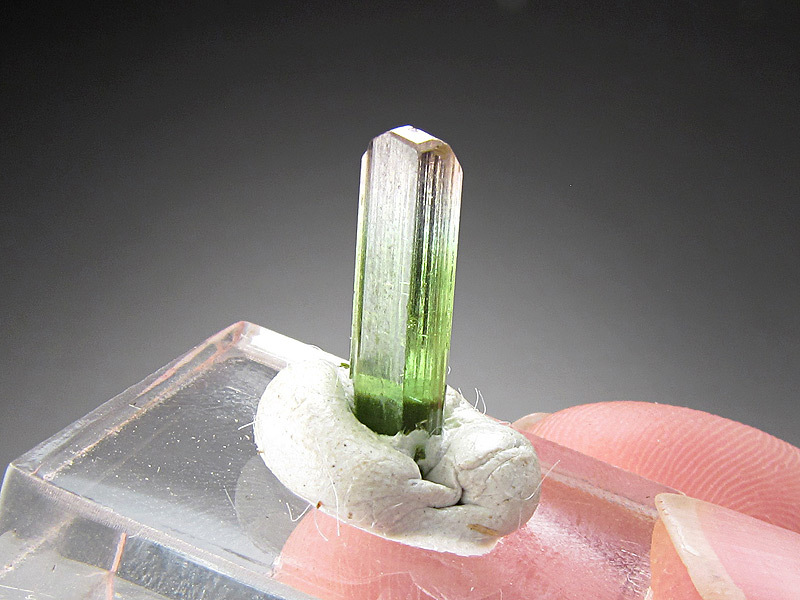 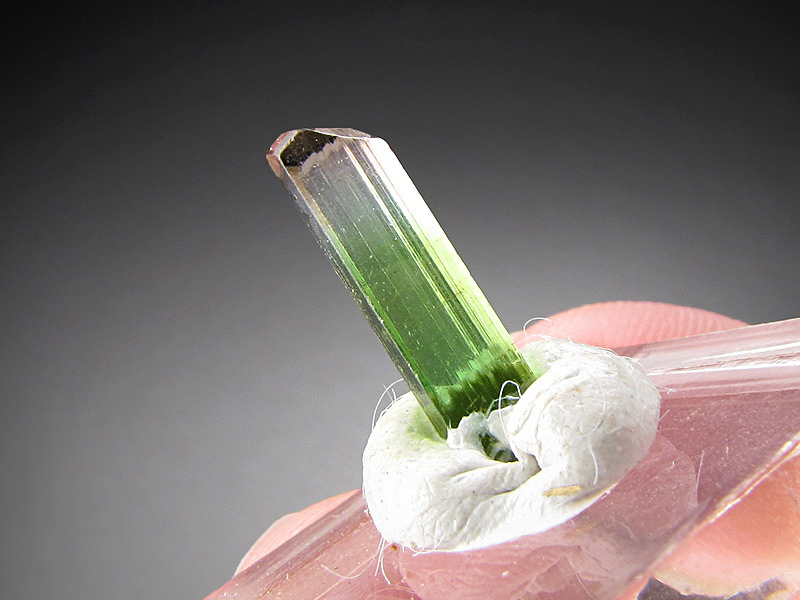 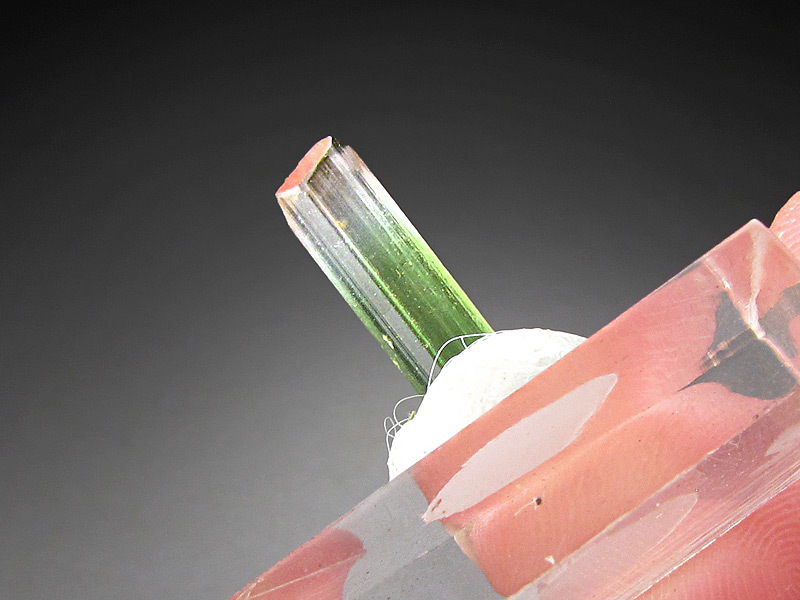 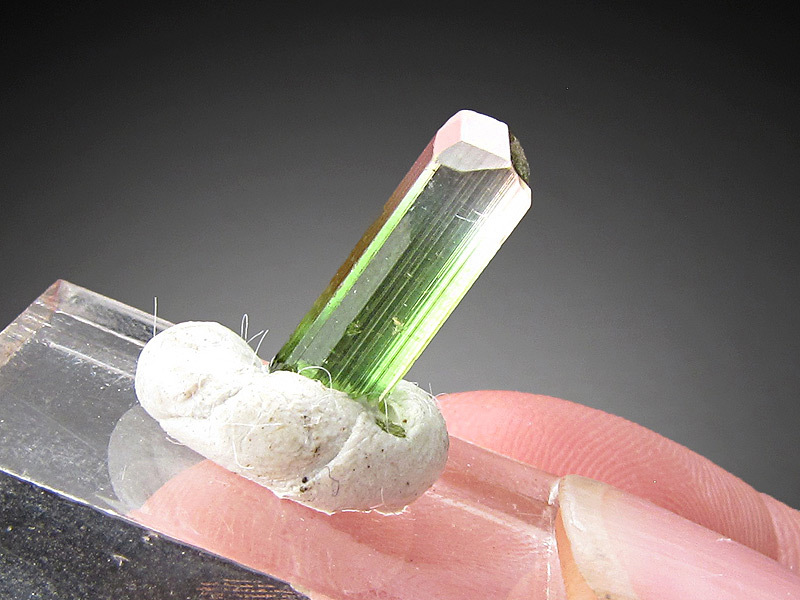 This elbaite pencil crystal is a green at one end and a little pale pink near the termination. 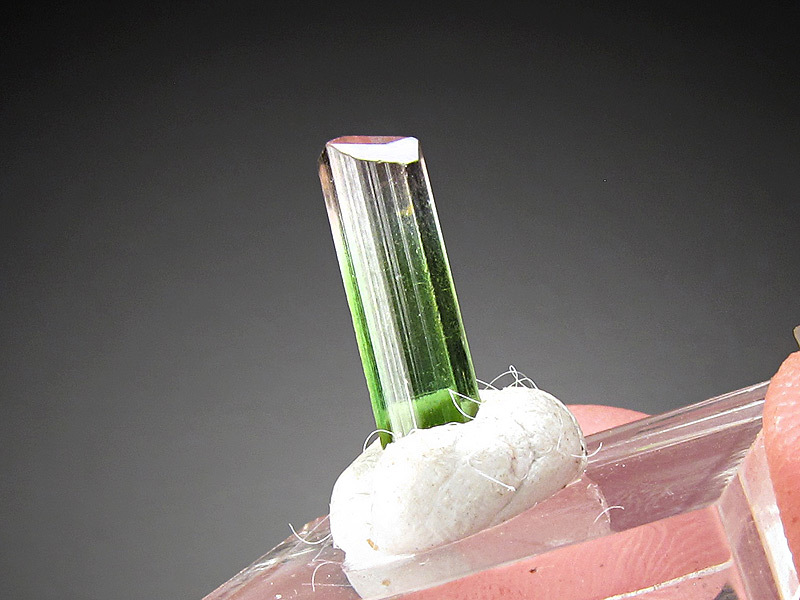 The overall dimensions of the piece are 0.4 cm wide by 1.4 cm tall and 0.3 cm front to back. 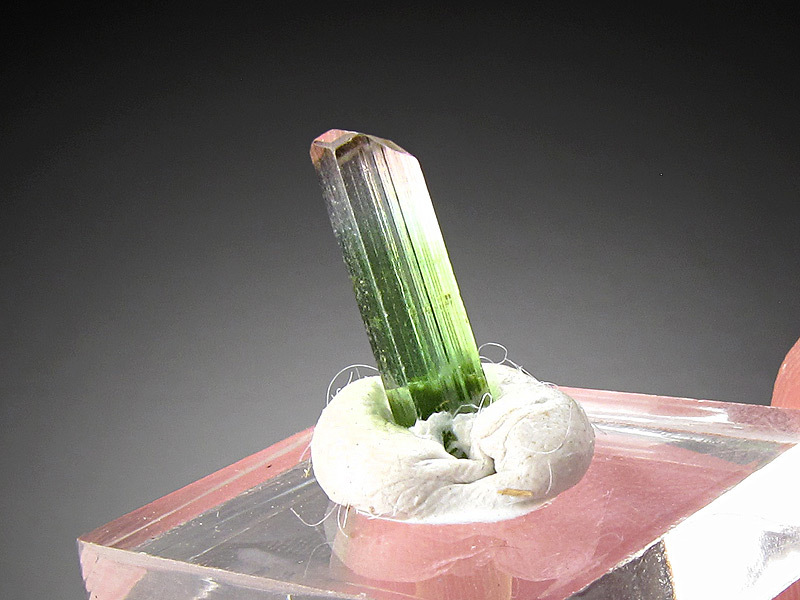 The locality is Paprok Mine, Kamdesh District, Nuristan Province, Afghanistan.